Blurb: Hi, my name is Trevor. I’m a wolf shifter. I say that like I know what I’m talking about. I don’t. I was simply running off a ton of steam one day when I was around eleven and bam! Okay, not quite that easy or fast but it happened when I was young and stupid. I’m also gay. I say that like I know what I’m talking about with that too. I simply don’t. I’m grown up now and living in the big city which has me too busy to much care about either one of those things. I get out and run my wolf when I can, trying like hell to stay out of the local pack’s territories. Belonging to a “family” just sounds like too much work, and honestly I don’t have time for such things. Besides, I was told when I was young the color of my wolf was all wrong. Too silver…or something. Metallic. I kinda thought it looked cool in the full moon. “Pack Alpha would kill ya soon as look at ya.” My grandpa used to say. Course he wasn’t my real grandpa. Just an old man who lived down the street, but he was a shifter too and I thought he knew it all. He probably knew diddly either, but a guy can’t be too careful. And romance? Way off the radar. Only now someone has started killing wolves. Started leaving broken bodies lined up in a nice little row next to the high school in my home town and it’s got me to thinking. If a shifter is killed in his or her wolf state, do they stay that way? Were these dead wolves like me? The hell of it all is this: being a shifter isn’t common knowledge. It bothers me enough that now I want to find out more. See if there’s anything I can do. Kind of like a super hero. Oh yeah. Probably forgot to tell you this too. I can turn invisible. 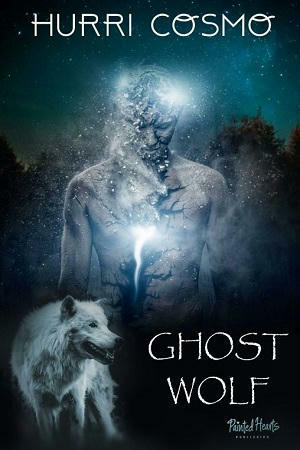 Yep, Ghost Wolf to the rescue. Review: Trevor is a wolf shifter with absolutely no clue as to what that means or what he can do. He was adopted so has no one to show him the ropes. He meets an old man who becomes a friend. This man is a shifter but really doesn’t help Trevor besides telling him stories. When he passes he leaves Trevor a ring that can make him invisible but leaves no instructions on how to use said ring or whatever else it can do. Trevor Meets Ryan, the leader of a pack and his mate but things get complicated as there is someone who wants Trevor as well. All in all it was a pretty good read with some things that I didn’t get. Trevor’s character seemed a little naive to me. I liked all the twists and turns throughout the story that had me going WTH. Though it did have it’s funny moments I felt I would have liked more action than the funny parts. 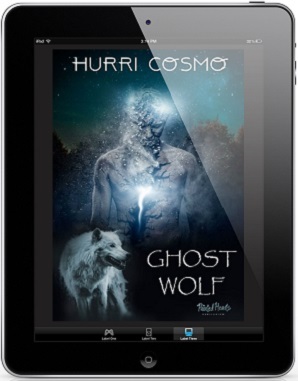 Posted on February 6, 2019 February 6, 2019 by ShortyPosted in Book Review, MM Book Review, MM Romance Book Review, Painted Hearts Publishing, ReviewsTagged Gay Paranormal Romance, GLBT Paranormal romance, Hurri Cosmo, Painted Hearts Publishing, Shorty's Reviews. SIO by C.A. Blocke Release Blast, Excerpt & Giveaway! Destructive Forces by Harry F. Rey Release Blast, Excerpt & Giveaway! Fruits of the Gods by William C. Tracy Release Blast, Excerpt & Giveaway!